The Constitution of the United States of America is the supreme law of the United States. Empowered by its framers and the consent of the legislatures of the states, it is the source of all government powers, and also provides important limitations on the government that protect the fundamental rights of United States citizens. The need for the Constitution grew out of problems with the Articles of Confederation, which established a “firm league of friendship” between the early state and gave most power to a Congress of the Confederation. This power was, however, extremely limited. Congress could not raise any funds itself and was entirely dependent on the states themselves for the money necessary to operate. Each state sent a delegation of two to seven members to the Congress, and they voted as a group with each state getting one vote. Unfortunately, large decisions required a unanimous vote with all thirteen states agreeing, which led to a government that was incredibly slow to act and respond to issues. 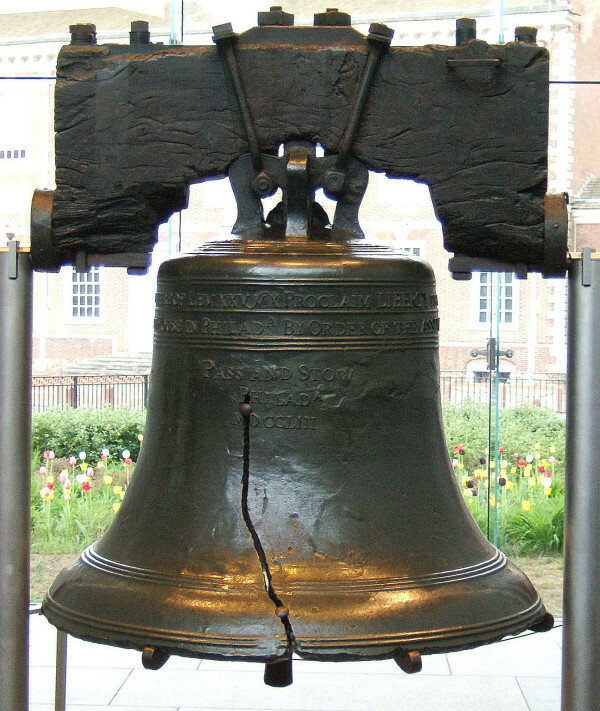 A movement to reform the Articles began, and state legislatures were invited to send delegates to a convention in Philadelphia to discuss changes to the Articles in 1787. In May of 1787, delegates from 12 of the 13 states convened in Philadelphia to begin redesigning the government by writing a new Constitution at the Constitutional Convention. A chief aim of the Constitution as drafted by the Convention was to create a government with enough power to act on a national level, but without so much power that fundamental rights would be at risk. They planned to separate the power of government into three branches, and then to include checks and balances between those three branches to ensure that no one branch of government gained too much power. Much of the debate over the Constitution, which was conducted in secret to ensure that delegates spoke their minds, focused on the form that the new legislature would take. Two plans competed to become the new government: the Virginia Plan, which apportioned representation based on the population of each state, and the New Jersey plan, which gave each state an equal vote in Congress. Surprising no one, the Virginia Plan was supported by the larger states, and the New Jersey plan preferred was by the smaller. In the end, they settled on the Connecticut Compromise, in which the House of Representatives would represent the people as apportioned by population; the Senate would represent the states apportioned equally; and the President would be elected by the Electoral College. The plan also called for an independent judicial branch. The founders also specified a process by which the Constitution may be amended, and since its ratification, the Constitution has been amended 27 times. In order to prevent reckless changes, the process for making amendments is difficult. An amendment may be proposed by a two-thirds’ vote of both Houses of Congress, or, if two-thirds’ of the states request one. The amendment must then be ratified by three-fourths’ vote of the state legislatures, or three-fourths’ of conventions called in each state for ratification. Since the start of the 20th century, amendments have traditionally specified a timeframe in which this must be accomplished, usually a period of several years. On September 17, 1787, 39 of the 55 delegates signed the new document, with many of those who refused to sign objecting to the lack of a specified bill of rights outlining the basic freedoms of every citizen. The Constitution would take effect once it had been signed by nine of the thirteen state legislatures. In several states, the ratification debate over the new U.S. Constitution hinged on the adoption of a bill of rights. The eventual solution was known as the Massachusetts Compromise, in which four states ratified the Constitution but at the same time sent recommendations for amendments to the Congress. Ten of twelve proposed amendments would go on to become what we now consider to be the Bill of Rights. 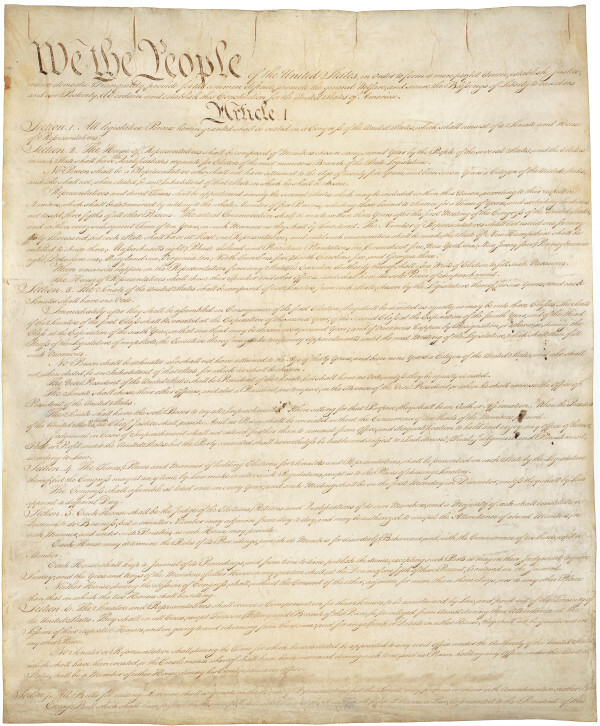 Based on the Virginia Declaration of Rights, the English Bill of Rights, the writings of the Enlightenment and the rights defined in the Magna Carta, the Bill of Rights contains rights that many today consider to be fundamental to America. The 1st Amendment provides that Congress make no law respecting an establishment of religion or prohibiting its free exercise. It protects freedom of speech, the press, assembly, and the right to protest the Government. The 2nd Amendment gives citizens the right to bear arms. The 3rd Amendment prohibits the government from housing troops in private homes, which was a major frustration during the American Revolution. The 4th Amendment protects citizens from unreasonable search and seizure. The government may not conduct any searches or arrests without a warrant, which must be issued by a judge and based on probable cause. The 5th Amendment provides that citizens not be subject to criminal prosecution and punishment without a fair trial. Citizens may not be tried on the same set of facts twice, and are protected from self-incrimination (the right to remain silent). The 6th Amendment assures the right to a speedy trial by a jury of one’s peers, to be informed of the crimes with which they are charged, and to confront the witnesses brought by the government. The amendment also provides the accused the right to request testimony from witnesses, and to legal representation. The 7th Amendment provides that civil cases be tried by jury. The 8th Amendment prohibits excessive bail, excessive fines, and cruel and unusual punishments. The 9th Amendment states that the list of rights in the Constitution is not exhaustive, and that the people retain all rights not listed. The 10th Amendment says that any power not given to the federal government belongs to the people or the states. Following the eventual ratification by the states, the new U.S. Constitution became the first permanent constitution of its kind adopted by the people’s representatives for an expansive nation. Students will increase their understanding of the Bill of Rights and share their understanding through theatrical exercises. Pick one of the amendments from the Bill of Rights. How would your life be different if that amendment were eliminated? Would life be better or worse without that amendment? Why? If you could propose new wording, amendments or edits to the Constitution what might they be and why? Of the rights that U.S. citizens possess, which one do you believe is the most forgotten / least appreciated? use verbal techniques including, but not limited to, appropriate tone, diction, articulation, clarity, type, and rate. comprehend the first ten amendments to the Constitution and the rights they guarantee. Do you think we would still have the rights listed in the Constitution or Bill of Rights if they hadn’t been formalized into those documents? Are there any rights you think our Founding Fathers failed to put in the Bill of Rights? Is there anything you would add today that they didn’t foresee? What sort of things couldn’t they foresee when they originally writing the Bill of Rights? Students are placed into groups of five. Each group is assigned one of the amendments in the Bill of Rights. Once students have taken some time to familiarize themselves with their amendment, each group is given sufficient time to prepare a one to two minute scene featuring every member of the group. These scenes should show the audience a world in which that amendment or right never came to be. Show us an America without! Groups should present and discuss possible ramifications without their amendment. How do these amendments affect the lives of individuals, families? How do they affect your life?